Concerning the Illinois Secretary of State processes, you have come to the correct source to answers to your DMV-related inquiries. 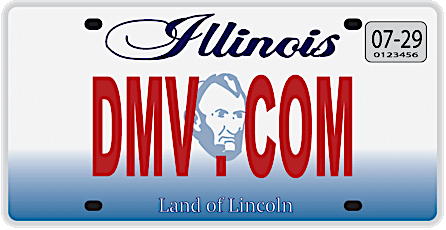 DMV.com has compiled relevant information to assist you in receiving driver and motor vehicle licensing services with the IL DMV. We show our users how to apply for Illinois DMV driver’s licenses or state IDs, apply for car registration and much more. Additionally, our trained advisors will respond to your inquiries about Illinois DMV learners permits, car titles and any other issue related to services by the IL SOS. You can also find information about traffic school courses that will allow you to get or regain your driving privileges. View the list of topics below to learn more about Illinois Department of Motor Vehicles services. Learn about Illinois drivers license services provided by the SOS. An IL drivers license is mandatory for residents who want to drive. Request your IL driving records online from the comfort of home today. Ordering an IL DMV driving record online saves you a trip to the DMV. Compare Illinois car insurance rates online, and find affordable car insurance today. Auto insurance coverage is required by the SOS. Illinois traffic school allows drivers to dismiss tickets and obtain insurance discounts. Discover IL traffic school benefits today. An Illinois DMV practice exam can help you earn a license. Take an IL driver practice test online before scheduling your written exam. Learn about Illinois car registration services provided by the SOS. The IL SOS requires auto registration for residents who own vehicles. Illinois drivers education is required by the DMV for some first-time license applicants. Learn about IL drivers ed requirements today. An Illinois bill of sale records a transfer of ownership when you purchase or sell a car. Learn how to get a car bill of sale from the SOS. Find out how to pay a ticket online in Illinois to avoid DMV penalties. IL traffic tickets require drivers to respond by a deadline. Getting a DUI in Illinois results in a license suspension enforced by the SOS. Learn more about what happens if you get a DUI in IL. Buy a used car or new car in Illinois the easy way. Purchasing a car online in IL can expedite your SOS car registration process. Find Illinois DMV locations that are close to you. Some IL DMV services can only be obtained at a DMV office. Cut out VSD’s bureaucracy. DMV.com has easy guides for drivers license, vehicle registration, license plate, emissions and other motor vehicle issues online. Detailed requirements for different types of motor vehicles, from cars to motorcycles to boats. All the latest news on requirements and forms to fill in. From car driving and ownership, the steps to getting your IL driver’s license, to vehicle registration and auto insurance. How to navigate around the site? Just type the desired info into the “search” feature, or use the navigation sections. Motorcycle and boat owners can also find out all about the special requirements for vehicle registration and more on our site. Our readers can also help us by contributing to the site with their edits and comments, so we can offer the most up-to-date information on the Illinois VSD. Also, see our Facebook page and join us there. This site is dedicated to helping Illinois drivers to solve their driving issues faster. The website is a privately owned and is not affiliated with any government agency.